Cold Stone Creamery serves up a different kind of ice cream and a different kind of experience. This is ice cream served fresh and fast, and ice cream that is tailored exactly to your tastes. At Cold Stone Creamery you can watch this popular dessert being created before your own eyes, before tucking in and enjoying something that was created just for you. The Cold Stone Creamery is huge and unique; the Cold Stone Creamery secret menu is just as big and just as impressive, and on this page we’re going to take a look at those menus and so much more. Cold Stone Creamery was founded back in 1988 by Susan and Donald Sutherland. Their goal was to create an ice cream product that was nothing like anything else on the market. In a marketplace full of soft-serve and hard-packed ice cream, they wanted something that was different, something that was neither one nor the other. And that’s exactly what they created. Since those early days, this unique ice cream and the unique process by which it is made has helped to propel Cold Stone Creamery into the big time. Today, Cold Stone Creamery ice cream is ranked as the sixth bestselling ice cream in the world. Not only that, but its sales and its reach is climbing, which means it could outsell its rivals within a decade or two. There are Cold Stone Creamery locations across all of North America. And this famous ice cream brand can also be found in Europe, the Middle-East, the Far-East, Africa and the Caribbean. The very first Cold Stone Creamery location, which was founded in Tempe, Arizona, remains open to this day. If you have a sweet tooth then the Stone Cold Creamery collection of mixers, toppings and flavors may send you into a diabetic coma with just one glance. Most ice cream stores make their product in batches and then sell it throughout the day. Some will sell ice cream that was made days or even weeks ago. Ice cream is frozen, after all, so they don’t see the need to make it fresh. However, if you have ever brought a tub of ice cream back from the store and then left it in the freezer for a day or two, you’ll know how it can lose its flavor. Even when the freezer is set to the right temperature in order to stop the ice cream from turning into a block of ice, it still doesn’t taste the same. That’s why Cold Stone Creamery is different. They make all of their ice cream fresh every day. This is ice cream prepared right in front of you, just like a sandwich at a Jimmy John’s or a pizza at a Domino’s. They are unique in this, and as of yet, it’s something that other big ice cream chains, including Dairy Queen, just don’t do. This is the Cold Stone Creamery difference, and it is difference that has helped them to grow into one of the biggest chains in the country. You can choose from their Signature Creations, or you can choose to create your own. This way you can choose the flavor, you can choose the toppings. It’s just like you’re making it yourself. Their Hot Stone Desserts are just as fresh and just as delicious, and if you want to take some of their ice cream home with you then you can also purchase by the pint. At the Stone Cold Creamery you can make your own and watch as it’s prepared, or choose from their Signature Creations. There are so many flavors available at Cold Stone Creamery, so many combinations and so much that you can create. As a result, the Cold Stone Creamery secret menu is one of the biggest of any ice cream parlor and any purveyor of sweet treats. There are Cold Stone Creamery secret menu items that can be created from a combination of Mix-Ins; secret menu items that can be created in combo stores; secret menu items that make use of limited edition flavors; and much more. 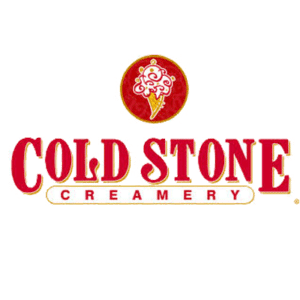 If you’re like us and you prefer to create your own ice cream every time, seeing what new concoction you can come up with, then the Cold Stone Creamery secret menu is well worth a look. Although there are many fatty, sugary treats at the Stone Cold Creamery, there are also healthy options available. Cold Stone Creamery have done more to cater for special diets than many of their rivals. This might have something to do with its age, and the fact that it was just starting to gain traction when gluten-free diets became popular. Celiacs have always existed, of course. But in such a small minority that the big chains never felt the need to cater for them. That changed when gluten-free became less about necessity and more about preference, and chains like Cold Stone Creamery were able to latch onto it straight away. Not only do they have a large selection of gluten-free products, but these are clearly displayed and all of their servers are educated on the needs of the gluten-free diet and on the menu items that they can eat. The same goes for nut-allergies, vegans and vegetarians. In fact, whatever you can and can’t eat, there are options for you at Cold Stone Creamery. There are also low-fat options. The question is not whether these exist, but whether you can resist all of that chocolate and all of those creamy desserts in favor of reduced-fat, reduced-sugar versions. To learn more, be sure to read our Cold Stone Creamery Nutrition Info guide. This includes all nutrition information, and is updated with all current menu items. Cold Stone Creamery prices are not exactly cheap, but they’re far from expensive. They are roughly on par with similar chains, and the more you buy, the more value for money you get. For example, a Small of one of their Signature Creations will cost around $5.50. But if you opt for the Large you’ll pay just $1 more and get a whole lot more ice cream. If you choose to create your own, then you will pay between $4 and $5.5, depending on the size. You will get your first Mix-In for free, and will pay around $0.80 for every Mix-In after that. A Mix-In is essentially a topping. But, as the name suggests, these are mixed into the ice cream while it is being made, as opposed to being dolloped on the top like a McFlurry from McDonalds. Stone Cold Creamery has spread to all four corners of the globe. 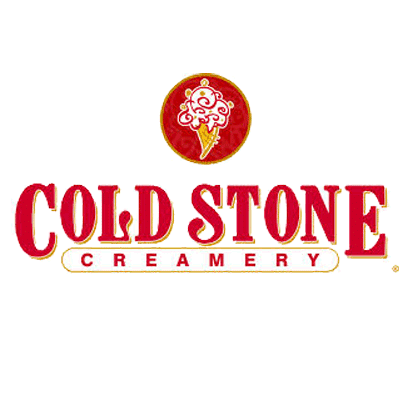 Cold Stone Creamery has been on the co-branding wagon since 2008, combining their name with others. This allows them to increase their reach and cut their costs. It’s a trend that is perhaps most famous with the Dunkin’ Donutsand Baskin-Robbins partnership, but one that has also fused many other big chains together. Many of their stores are co-branded with Tim Hortons. This deal has allowed them to expand their reach across North America, and as a result there are now more than 1,400 locations around the world. Cold Stone Creamery store hours differ from location to location. However, it typically opens at between 10:30am and 11:30am and closes at between 9:00pm and 10:00pm. It is open 7 days a week, but tends to remain open a little later during Fridays and Saturdays.